Many of us use social media to boost business, and if you do it’s important that you take care of it, keep it updated and looking it’s best. 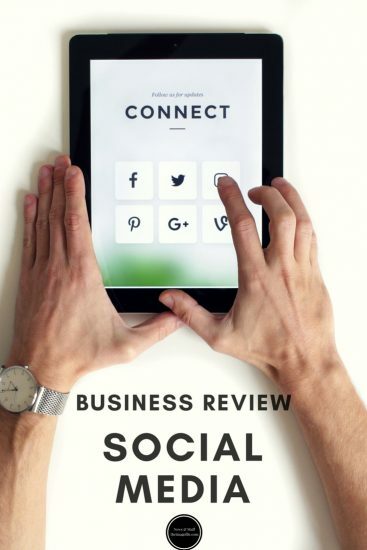 The easiest way to do this is by doing regular social media reviews and having a clear plan for how your business can use social channels such as Instagram, Facebook, Twitter and Pinterest to increase your chances of success. The first step is to do a complete review of every social media profile you have. This doesn’t just include Facebook, Twitter, Instagram and LinkedIn. Did you create a Tumblr account five years ago? Is there an old Youtube channel floating around with two subscribers? Once you have all your current social profiles listed, the next step is deciding which platforms you want to keep and focus on. You should take into account your previous experience with social media and also how much you honestly think you can cope with. It’s best to stick with what you honestly think you can keep updated and relevant because there is no worse advertisement than a load of social profiles with your business name on them that haven’t been touched for two years. So have an honest chat with yourself about what you can cope with, there is nothing wrong with just picking one or two networks to focus your efforts on. Now that you know what you’re focusing on, the second step is to dig into the data and see how each platform is performing. This will be the bulk of your social media review because it shows you what is working, what needs to be improved and your biggest opportunities. Enter this data into a spreadsheet so that you can keep track of progress and improving figures, as well as which channels are outperforming others. In addition, to seeing your best-performing platforms and profiles, you’ll also see areas where your channels might require a little more time and effort. Analysing your social media posts will help you improve your social media content. If your posts aren’t engaging or resonating with your audience then you won’t succeed. Use this review as a chance to look at the content you’ve shared and identify which posts had the biggest impact on your audience. If you are yet to post to your social media profiles, or perhaps in the past only posted once or twice, then take some time to research what industry experts say are top-performing posts. Now it’s time to look at the content on your website. All you need to know is which posts are getting the most social shares and break it down by network. An easy way to get this data is to look at your Google Analytics or to use a tool such as BuzzSumo. Your brand should be immediately recognisable across all of your social media profiles. If there’s a difference between your social profiles then it will be difficult for customers and followers to determine which profiles are official, or even if you are the same company. Matches the style of your other profiles e.g. cover photos, profile pictures etc. You need to know who you’re targetting in order to use the right type of posts, wording etc. However, sometimes the people that end up following and engaging with you will be completely different than those that you expected. Make sure you adapt your strategy to accommodate them or to attract your initial target customers. If you haven’t yet entered the social media world then take a look at our Social Media Service. We’ll get everything set up for you so that you can just start posting. Equally, if you already have social media accounts but need some advice on wording or branding then get in touch too.